Rosenborg Ballklub welcomes media from abroad. 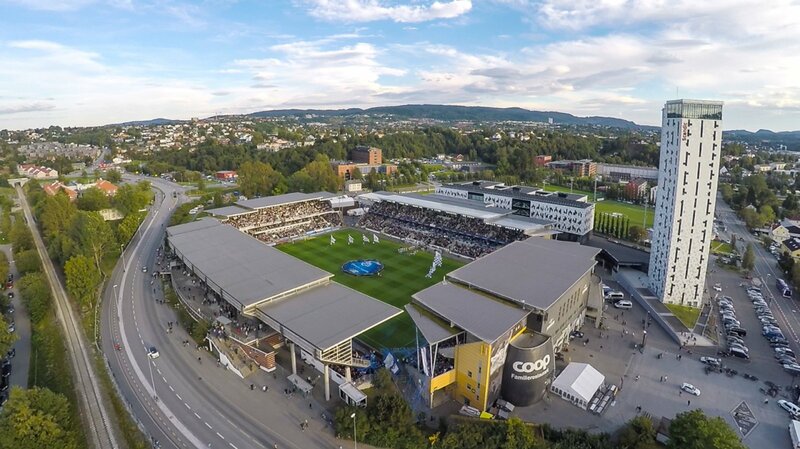 Here are some guidelines to your visit to Lerkendal Stadium. Any questions in regards to press accreditations or rights should be directed to Media Director Trond Alstad (+47 930 85 740). For international matches, accreditations for foreign members of the media must be applied for by the visiting club. The press facilities are located in the SpareBank 1-Stand: access entrance 5. Light snacks, coffee and non-alcoholic drinks are served prior to the match. Electric power, free wireless internet as well as working facilities are provided before, during and after the matches. Press seating during the game is located in the same stand. After regular league or domestic cup fixtures there is a mixed zone setup just outside the visiting team´s changing room. This area is only accessible by the press after the conclusion of the game. For European fixtures only, press conferences are held in the press facilities.